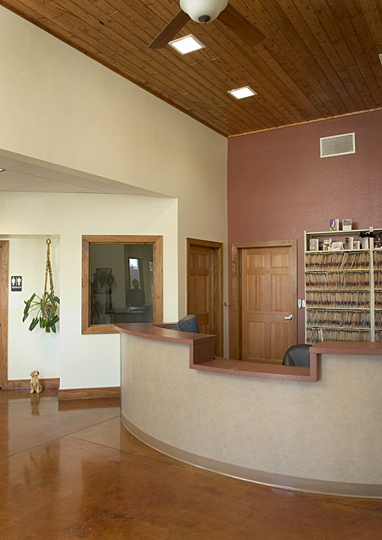 Located in Albuquerque’s culturally diverse South Valley, the owner of the DeAnza Animal Clinic had a vision to create a new facility that would provide high-quality affordable animal care services to her clients and become a landmark for the rural neighborhood. 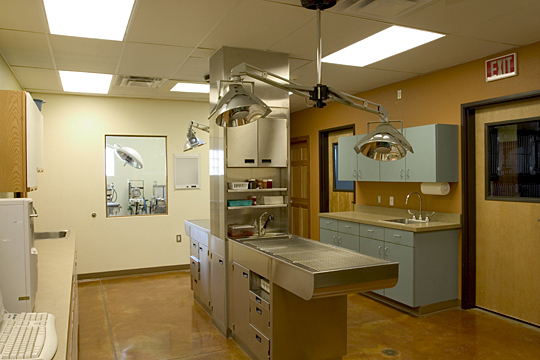 The 3,200-square-foot building includes three exam rooms, small boarding facilities, and an open treatment/lab/pharmacy area. 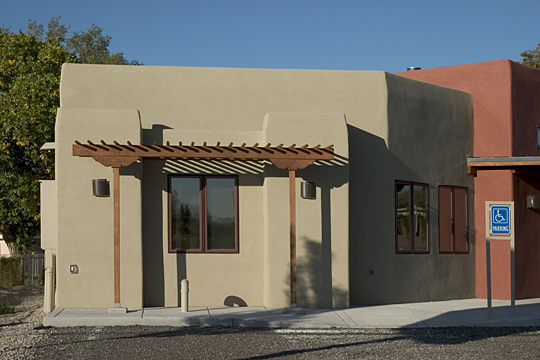 The exterior design pays particular respect to the historical architecture of the neighborhood through updated pueblo-style massing accented by wood portals and earthy colors. 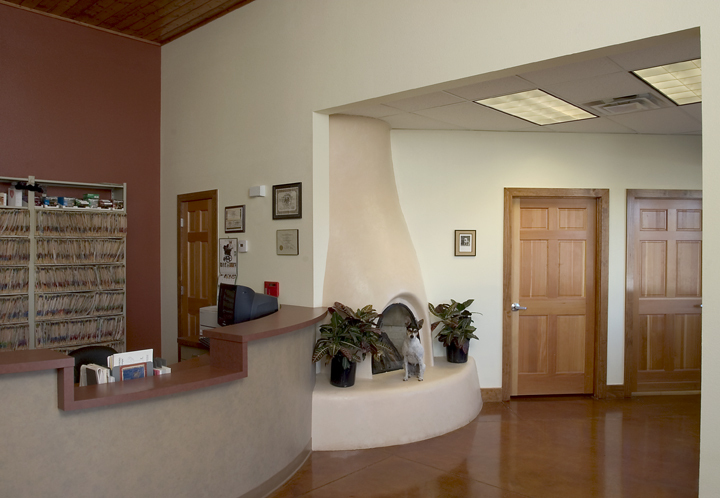 The highlight of the interior is the reception area with a pine tongue and groove ceiling, bancos and a kiva fireplace. 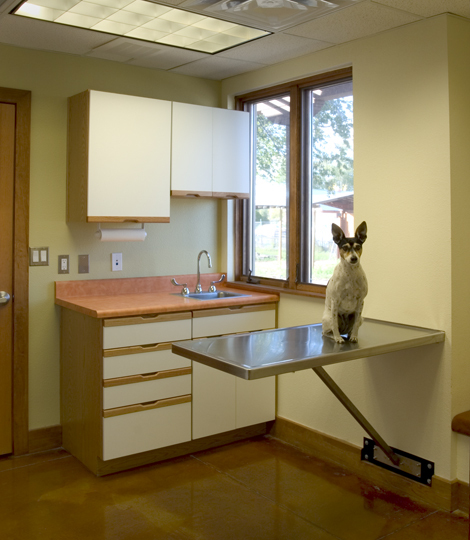 These familiar and homey elements lend comfort to the clients, thereby calming their pets waiting to see the doctor.